In mid-May 1912, management of the Detroit Tigers confronted a strike by Tigers players angered by the indefinite suspension of star Ty Cobb by American League President Ban Johnson. To avoid forfeiting a May 18 game in Philadelphia and incurring a possible $5,000 fine, a group of mostly Philadelphia college and sandlot players was hastily recruited to assume the place of the striking Tigers regulars. These recruits, plus aging Tigers coaches Deacon McGuire and Joe Sugden, then absorbed a 24-2 shellacking from the defending AL champion A’s. Provoked by the game’s farcical outcome, Johnson thereupon threatened the strikers with permanent banishment from Organized Baseball if they did not immediately get back into uniform, which they did. The return of the Tigers regulars brought to a close the one-game career of the replacement players, none of whom ever made another major-league appearance — save third baseman Billy Maharg, who played an inning in the season-ending game of the 1916 Philadelphia Phillies. A replacement recruit who did not fit the college/sandlot player profile was a journeyman minor-league catcher and Philadelphia resident whom Baseball-Reference, Retrosheet, and other modern reference works now identify as Ed Irwin. Known during his lifetime as Bill Irwin, this normally light-hitting backstop established an arcane major-league record that stands to this day: most triples by a player without another base hit. Irwin hit a pair of three-baggers off frontline A’s pitchers during the May 18 contest, while striking out in his only other at-bat. Some four years after his record-setting day, Irwin was dead, succumbing to injuries suffered during a Philadelphia saloon fracas. According to most (but not all) baseball authorities, William Edward Irwin was born in Philadelphia on an unspecified date in 1882.1 His sketchy 1916 death certificate states that Irwin was the son of Irish immigrant William E. Irwin and his wife, the former Maria Straton of Philadelphia. The Irwin family has proved difficult to pinpoint in government records, but the 1860 US Census lists a William Irwin, age 10 and born in Ireland, who was likely our subject’s father. Master William is recorded as residing in Philadelphia with his father, Robert Irwin (age 37, a laborer born in Ireland), and mother, Martha (maiden name unknown, age 32, born in Scotland), and four younger Pennsylvania-born siblings. Apart from that, next to nothing has been uncovered about our subject’s early life, education, nonbaseball occupation and activities, or pre-professional playing days. Listed today as a righty batter and thrower,2 Irwin began his professional career in 1903 with the Kingston (New York) Colonials, champions of the Class D Hudson River League. Primarily a backup for first-string catcher (and future major leaguer) Heinie Beckendorf, Irwin batted a modest .247 in 22 games for Kingston.3 Early the following year, it was reported that Irwin had signed with the New London Whalers of the Class D Connecticut League.4 But by mid-June, he was back in Kingston livery5 and thereafter posted a .239 BA against now-Class C minor-league pitching. The following spring, Sporting Life declared that “Bill Irwin has been signed by Manager McCabe [of the HRL Poughkeepsie Colts] in place of Al Burch who jumped to an outlaw league.”6 His stay in Poughkeepsie proved a brief one, and by July, Sporting Life was advising readers that “Bill Irwin has been released by Poughkeepsie management.”7 At season’s end, he was back in Kingston, and reserved by the Colonials for the coming 1906 campaign.8 The return of “W. Irwin, catcher” to the club was confirmed the following May,9 and early in the season it was reported that “catcher Irwin of Kingston is doing heavy and timely hitting.”10 But whether he kept up the good work is unknown, as no season-ending stats survive for the 1906 Hudson River League. Thereafter and for the next three years, the Irwin trail grows faint. The personal and playing whereabouts of Bill Irwin during the 1907-1908-1909 seasons are mostly lost. His disappearance from Baseball-Reference during that three-season period suggests that Irwin may have left Organized Baseball to play in unrecognized or semipro leagues in the Philadelphia area. One thing that can be documented for this time frame is a change in Irwin’s marital status. Pennsylvania marriage records establish that William E. Irwin and Raydi K. Hahn were wed in Philadelphia sometime in 1907.11 Their union would endure for the remaining nine years of Irwin’s life, but the couple was apparently childless. In 1911, Irwin again split the season between two low minor-league clubs: the Jackson (Mississippi) Drummers and the Greensboro (Mississippi) Scouts, both of the Class D Cotton States League. Combined, Irwin batted a dismal .132 (12-for-31), while posting a .979 FA in 28 games behind the plate.16 He then returned home to Philadelphia for the winter. Irwin’s brief sojourn as a major leaguer began after he responded to an unusual advertisement published in the Philadelphia Press on April 12, 1912: “Wanted — A catcher. Manager [Red] Dooin would like one or two husky backstops to report to the Phillies’ clubhouse to assist in warming up the large squad of pitchers. Dooin says it is a good chance for some youth to ‘show the goods.’” Although hardly “some youth,” veteran minor-league catcher and Philadelphia resident Bill Irwin responded to the ad and was promptly engaged by Dooin. Irwin never played in an official major-league game for the Phillies, but he made at least one exhibition-game appearance for the club. On April 21, 1912, “Irwin” went 1-for-4 (a double) and caught the full nine innings in a 5-1 Phils victory over the Wilkes-Barre Barons of the New York State League.17 By early May, however, the Phillies had dispensed with Irwin’s services. Meanwhile, Magistrate Beaton had Fitzmyer bound over without bail on a homicide charge pending a coroner’s inquest, the exculpatory testimony of Benjamin Irwin notwithstanding.35 No official report of coroner William R. Wright Jr. was discovered by the writer, but the outcome of the inquest was predictable enough. This is because, a century ago as now, prosecuting agencies disdain bar-fight homicides — unless the survivor had used a weapon and his victim was unarmed.36 But in this matter, William Fitzmyer had not used a weapon; the deceased had died of injuries suffered from a fall through a glass window. On top of that, the victim’s own brother asserted that the death was “accidental.”37 Given these factors, a coroner’s verdict of justifiable self-defense or death by misadventure would have been a foregone conclusion. Whatever the official determination, no criminal charges were preferred against Fitzmyer and he was released from custody. A curious byproduct of this tragedy was a newsprint change of the deceased’s first name. Throughout his pro-baseball playing career, our subject had been known as Bill Irwin. But newspaper reports of his death identified him as Edward (or Edwin) Irwin.38 This situation repeated itself at the coroner’s office where the death certificate informed by his widow gave the full name of the deceased as Edward Irwin (Irvin).39 Death notices published in the Philadelphia Inquirer and Philadelphia Public Record, February 8, 1916, correctly identified the “suddenly” deceased Irwin as “William E., beloved husband of Ray Irwin (nee Hahn).” Notwithstanding that, a biographical stone had now been cast. In future, baseball reference works would identify the player known during his lifetime as Bill Irwin by the name Ed Irwin.40 And Ed Irwin is how this long-forgotten one-game 1912 Detroit Tigers replacement player is listed today. The writer is indebted to Anthony DiGiovanni, cataloguer and researcher at the Historical Society of Pennsylvania, for his assistance in gaining access to Philadelphia newspaper reportage about Irwin’s death. This bio is adapted from an article published in The Inside Game, Vol. XVIII, No.1, February 2018. It was reviewed by Len Levin and fact-checked by Chris Rainey. Sources for the biographical information provided herein include the Ed Irwin file maintained at the Giamatti Research Center, National Baseball Hall of Fame and Museum, Cooperstown, New York; Ancestry.com; and certain of the newspaper articles cited below. Unless otherwise noted, stats have been taken from Baseball-Reference. 1 Baseball-Reference, Retrosheet, Baseball Almanac, and other modern baseball reference works state that Irwin was born sometime in 1882. An anomaly is the online site FAQs which gives our subject a November 30, 1881, birth date. No source for this date is provided by FAQs, and it conflicts with the age at death (31) provided in the Irwin death notices published in the Philadelphia Inquirer and Philadelphia Public Record, February 8, 1916. The death notice age of 31, in turn, does not yield an 1882 birth year for Irwin. The reliability of the current baseball reference work 1882 birth year for Irwin is, therefore, uncertain. And it, too, is unsourced. 2 Reference works beginning with the first edition of The Baseball Encyclopedia (David S. Neft, ed., Macmillan, 1969) have listed Irwin as a right-handed thrower (presumably because he was a catcher). By the time the initial edition of Total Baseball was published in 1989, the Irwin entry had been expanded to include: bats right. The source of this info is unknown, and no contemporary mention of how Irwin batted (or threw) was discovered by the writer. 3 Late in the season, Kingston loaned Irwin to Saugerties, a nearby Hudson River League rival, “on account of Harrison, the regular [Saugerties] catcher being laid up,” per Sporting Life, September 12, 1903. 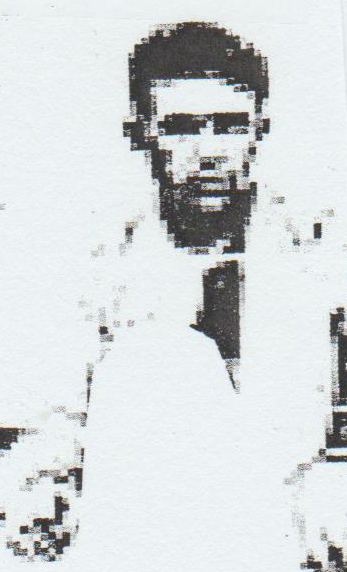 A head shot of the curly-haired “Irwin, c.” was included in the Kingston championship team collage subsequently published in the 1904 Reach Guide, 195. He also appears in a 1903 Kingston team photo posted on eBay. 4 See Sporting Life, January 23 and March 15, 1904. 6 Hudson River Hits, Sporting Life, May 20, 1905. 7 Hudson River League Notes, Sporting Life, July 22, 1905. 8 As per the reserve list for the 1906 Hudson River League published in Sporting Life, October 7, 1905 (which lists him as “William B. Irwin”). 9 See Sporting Life, May 19, 1906. 10 Sporting Life, June 16, 1906. 11 As per the Philadelphia, Pennsylvania, Marriage Index, license no. 299790, accessible via Ancestry.com. 12 See the 1910 Reach Guide, 436. The guide also provides Irwin’s fielding stats (178-35-6 = .972 FA) while catching for Raleigh in 1909. When Irwin died six years later, a Philadelphia–area newspaper remembered the deceased as “a tall, well built man who had curly black hair.” See the Danville (Pennsylvania) Morning News, February 26, 1916. 13 As per season-ending Ohio State League stats published in Sporting Life, December 17, 1910. In 106 games combined at first base, Irwin posted a .972 fielding average. Baseball-Reference notes Irwin’s presence on the Chillicothe and Portsmouth rosters, but provides no stats for him with either club. 14 Sporting Life, October 15, 1910. 15 Although the Irwins depicted in the two team photos look much alike, poor image quality precludes conclusive identification of the two as the same man, per Mark Fimoff, editor of the Pictorial History Research Committee newsletter and a facial recognition expert. Many thanks to Mark for his insights on the Irwin photo identification question. 16 Per final Cotton States League statistics published in the 1912 Reach Guide, 478-479. Baseball-Reference lists Irwin as a member of both the Jackson and Greensboro clubs, but provides no 1911 stats for him. 17 As per the game account and box score published in the Philadelphia Inquirer, April 22, 1912. 18 See, e.g., Jim Reisler, “A Beating in the Stands, Followed by One on the Field,” New York Times, April 28, 2012. See also, Gary Livacari’s BioProject profile of replacement squad organizer and pitcher Allan Travers. 19 At the time that the Naiman article was published, baseball reference works mistakenly gave our subject’s surname as Irvin. 20 See Livacari, Allan Travers. 21 Co-record holder Bolton went 2 (triples)-for-13 in his four-game career with the Indians. 22 See, e.g., The State, May 26, 1912, Sporting Life, June 12, 1912, and The State, June 17, 1912. 23 Per season-ending stats published in The State, October 8, 1912. Baseball-Reference places an otherwise unidentified “Irwin” on the 1912 Columbia roster, but provides no other info about him and does not connect him to the B-R listing for Ed Irwin. 25 Per the Charleston Evening Post, November 30, 1912. 26 The occupation listed on the Irwin death certificate. 27 At the time of his death, it was reported that Irwin had caught for the Danville team in the semipro Susquehanna League during 1915. See the Danville Morning News, February 26, 1916. 28 Per the Irwin death notices published in the Philadelphia Inquirer and Philadelphia Public Record, February 8, 1916. The only survivor listed was wife Ray Irwin. 29 Philadelphia Public Record, February 7, 1916. 30 As quoted in the Philadelphia Bulletin, February 6, 1916. 31 Ibid. See also, the Philadelphia Public Ledger, February 7, 1916. 32 As per the Philadelphia Public Record, February 7, 1916. 33 Philadelphia Bulletin and Philadelphia North American, February 6, 1916, Philadelphia Public Record, February 6 and 7, 1916, and Franklin (Pennsylvania) News Herald, February 8, 1916. 34 But the Irwin death certificate and locally published death notices gave his age as 31. 35 As reported in the Philadelphia Bulletin, February 6, 1916. 36 The writer speaks from 30+ years experience as a state/county prosecutor in New Jersey. Bar-fight homicides involving unarmed combatants have utterly no jury appeal, and the most that can usually be hoped for by the prosecution at trial is conviction on some minor offense like simple assault or fighting should a murder-type charge be predicated on the incident. 37 See again, the Philadelphia Bulletin, February 6, 1916. 38 For Edward Irwin, see the Philadelphia Bulletin and Philadelphia North American, February 6, 1916, Philadelphia Public Ledger and Philadelphia Public Record, February 7, 1916, and Franklin News Herald, February 8, 1916. For Edwin Irwin, see the Philadelphia Public Record, February 6, 1916. The Danville Morning News, February 26, 1916, meanwhile, gave Irwin’s surname as Irvin. 40 For more detail on the Irwin name change see Bill Lamb, “On the Trail of Bill (Later Ed) Irwin: The Baseball Life, Violent Death, and Curiously Evolving Reference Work Listings for a One-Game 1912 Detroit Tigers Replacement Player,” The Inside Game, Vol. XVIII, No. 1, February 2018.